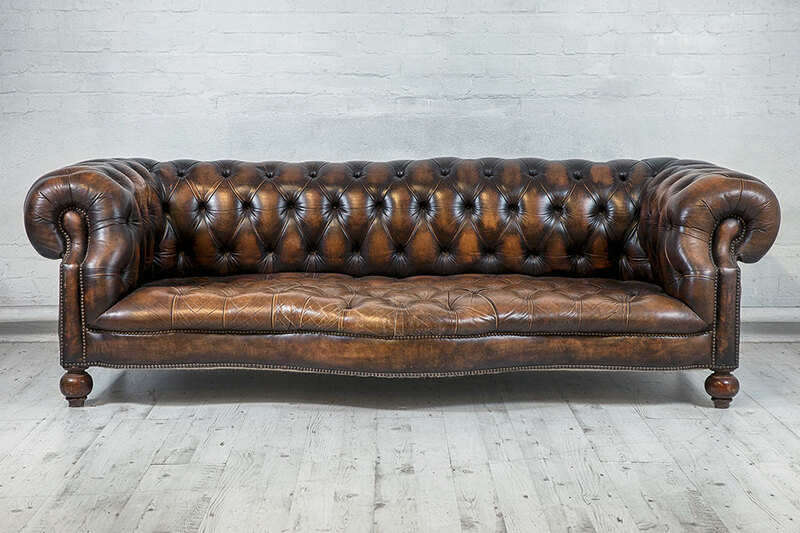 Purchasing high-quality leather furniture is an investment that can last a lifetime with proper care and maintenance. Leather is one of the most durable and luxurious materials available and is often passed on from one generation to the next. Over time your leather builds character in the form of subtle stretch marks, wrinkles, and color variations. These are not flaws, but rather improvements with age. Although leather requires minimal care, it’s important to develop good habits to avoid damage. While it’s possible to clean leather, certain substances are more difficult to remove than others. It’s easier to prevent damage than it is to reverse it! Use the following leather care instructions to preserve your vintage pieces. Follow these easy leather care instructions and enjoy your vintage leather purchase for many years to come! Avoid placing your leather too close to heat and direct sunlight. This includes fireplaces and windows without coverings. Wipe down leather with a clean, dry cloth to remove dust and dirt. Vacuum within the crevices of your furniture to remove any debris. Leather is quite absorbent, so when cleaning with water or leather cleaner, always perform a spot test in an inconspicuous area. In the event of a spill, blot with a clean, dry cloth. If that doesn’t do the trick, a rag dampened with water may be used. Avoid using household soaps or chemicals on your leather. A leather specialist may supply you with specialty leather cleaner if needed. Leather can scratch, so keep sharp objects away from your furniture. If you notice a scratch, gently buff it with your finger or a clean, dry cloth. Keep printed materials away from your leather piece. Something as simple as a magazine can transfer ink. You may want to purchase a good leather conditioner to use annually, or as needed. If in doubt, consult a professional leather specialist for advice or assistance.